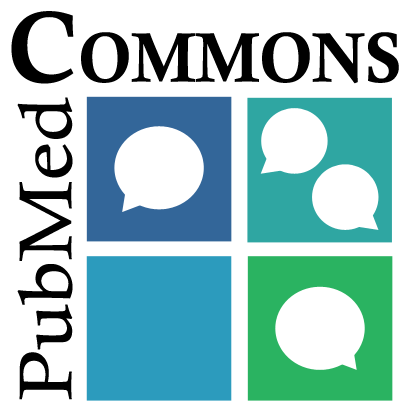 The U.S. National Institutes of Health is closing PubMed Commons, the feature that enabled readers to post comments on abstracts indexed in PubMed. NIH announced it will be discontinuing the service — which allowed only signed comments from authors with papers indexed in PubMed, among other restrictions — after more than four years, due to a lack of interest. The service was first introduced as a pilot project in the fall of 2013 and was reviewed in 2015. Despite low levels of use at that time, NIH decided to extend the effort for another year or two in hopes that participation would increase. Unfortunately, usage has remained minimal, with comments submitted on only 6,000 of the 28 million articles indexed in PubMed. Representatives of the NIH did not immediately respond to requests for comment. Comments will remain visible until March 2, after which readers will apparently be able to download them from the National Center for Biotechnology Information (NCBI) website. According to a 2014 Nature article by NIH head Francis Collins and Lawrence Tabak, principal deputy director at the agency, the purpose of the feature was to encourage post-publication discussions about NIH-funded research, thereby improving its reproducibility. So why didn’t the feature draw more interest? We believe that every obstacle to commenting reduces the volume of comments. Compared to PubPeer, PubMed Commons forbade anonymity. We have always felt that many users, particularly those with the most significant criticisms, prefer to comment anonymously in order to avoid any risk of reprisals. Irrespective of the true risk of such reprisals (and we have seen several legal threats in addition to the very public Sarkar suit), users do perceive a risk and alter their behavior in consequence. Anonymous commenting remains controversial, but we remain convinced that on balance it is beneficial. Nearly 70,000 publications have received comments on PubPeer since the site was established in 2012; the site currently displays more than 111,000 visible comments (54,000, excluding those stemming from PubMed Commons and Statcheck, an algorithm that checks for statistical errors in psychology studies). Most individual members of PubMed Commons have not commented, although a small number of members account for a considerable proportion of comments. Comments rarely include conflict of interest disclosures. Geographic distribution of commenters is not representative of authors in the biomedical literature, and women are underrepresented. Author replies are uncommon. As long as we haven’t figured out how to talk to each other in a civil and productive manner, this may be the best thing. He added that simply seeing a comment isn’t enough to encourage readers to participate. Given that PubMed Commons included only signed comments, researchers had the ability to judge the person leaving the remark — and would probably be more likely to participate if they believed the discussion was being led by top people in the field (many of whom say they don’t have time to post comments). It’s not just having comments – it’s having the comments from the best people who are going to push the agenda of my field forward. By one measure, those opposed to anonymity are correct to say that “the quality of interchange would be higher if commenters were required to identify themselves.” Comments such as “This was a great contribution to the literature” are more likely. But the kind of respectful but critical questioning that helps correct the scientific record will be much less likely, because of realistic fears that senior scientists won’t like it very much when you criticize them. We’re once again struck that many journals and scientists seem to believe fervently in anonymous peer review to prevent this sort of revenge, but won’t allow anonymous comments because they make them uncomfortable. We believe the commenting function addresses a critical need, for PubMed and for the development of biomedical research. So a big “thank you” from us to everyone who has contributed their time and energy to supporting the Commons and commenting at PubMed. … was the right decision to make for now, given the relatively low levels of use that we saw in the system. He said although the site has plenty of traffic – millions of people go to PubMed each day – they clearly use it to search and find literature, not to comment on it. It doesn’t fit into their workflows when they come to PubMed. Our commitment to transparency and reproducibility is unchanged, and we’re finding more effective mechanisms to achieve that. There is good reason why the US Supreme Court has repeatedly protected ANONYMOUS speech as part and parcel of the First Amendment to the Constitution. With only about a dozen of comments, I never got any feedback I would remember. So, it may be easier to write acomment on PubMed than to get it published as a “critical comment” or “corrigendum” in an average or good journal, but with no real feedback (e.g. number of readers, evaluation of comment, replies…) there was no encouragement to write more or better comments. I have tried to create a PubMed Commons account, yet despite having multiple publications, none were associated with an NIH grant application. So, I could not create one. Aside from the central platform, I have found the comment sections on the publisher’s platforms to be more immediately useful and potentially more likely to elicit a response from the authors that would be helpful to others to see than hidden in an email exchange. Personally I have found PubMed Commons useful in several ways, e.g. to provide alternative full-text access on my own papers, to ask other authors methods questions, to give a differering interpretation than the authors’, and even to point out inappropriate non-citation (i.e. plagiarism). This post is misinformed about the status of PMC comments on PubPeer. and the PubPeer site offers no information about why so few are included or how they are selected. Better news is that it is now 2/18/18 and PMC is still accepting new comments. I am hoping Mr. Sheehan has already changed his mind or will soon. Rather than focusing on the total number of papers with PMC comments, I urge him to read the comments on papers that have been retracted (27 so far) and consider the loss to the scientific record if these comments are taken down.